Get your friends and family in the festive spirit this year with these fun and vibrant charity greetings cards. 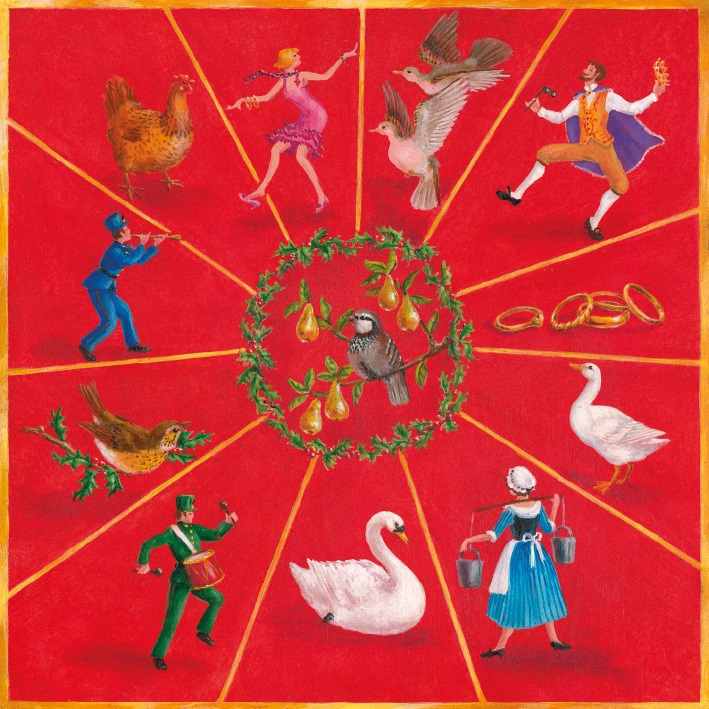 This card depicts the 12 days of Christmas from drummers drumming to a partridge in a pear tree. 10% of the proceeds from this card will be divided equally between the British Heart Foundation, Marie Curie Cancer Care, Mind, NSPCC and Shelter. The cards come in a pack of 8 and printed in the UK on textured card from responsible sources with plain white envelopes and a message of ‘Merry Christmas and a Happy New Year’ printed on the inside. There are currently no questions to display about Twelve Days of Christmas Charity Christmas Cards - Pack of 8.